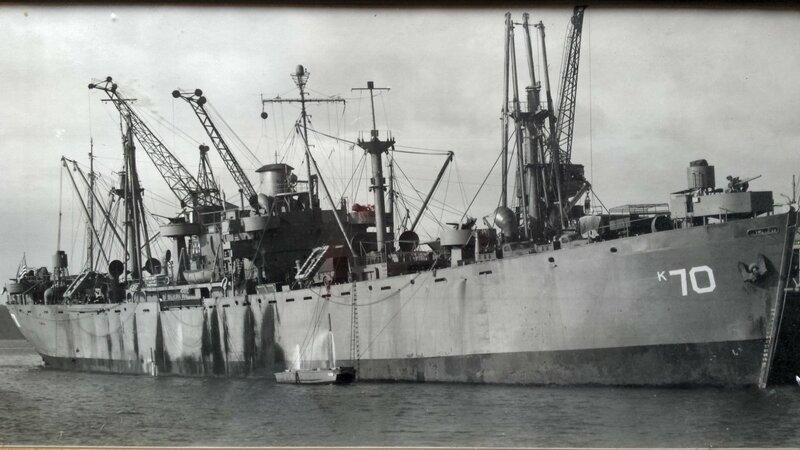 Laid down, 28 August 1942, as SS John James Audubon, a Maritime Commission type (EC2-S-C1) hull, under Maritime Commission contract (MCE 420) at Permanente Metals Corp., Yard #2, Richmond, CA. 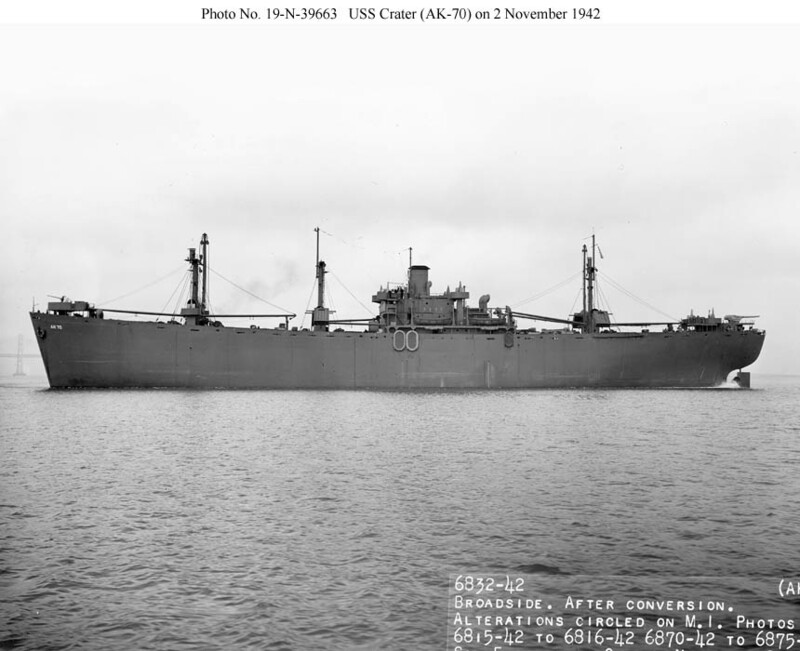 Transferred to the War Shipping Administration, 26 June 1947 for lay up in National Defense Reserve Fleet, Suisun Bay Group, Benecia, CA. 102k USS Crater (AK-70) under way in San Francisco Bay, 2 November 1942, soon after conversion for naval service. 50k USS Crater (AK-70) anchored off Townsville, Queensland, Australia, 18 June 1943. 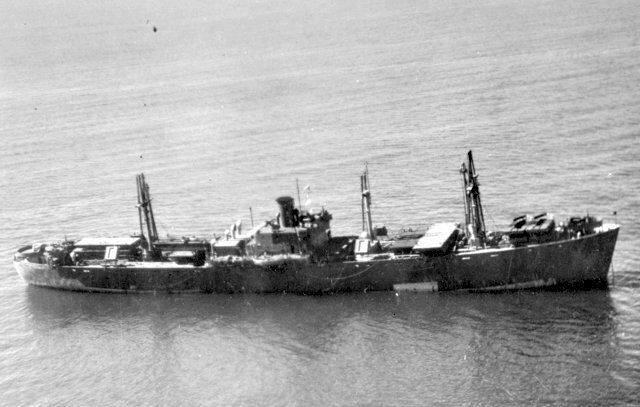 Crater delivered cargo to Efate and Espiritu Santo, New Hebrides, and Noumea, New Caledonia before Townsville and sailed on to Wellington, New Zealand, arriving 28 June for maintenance and a reload of cargo. 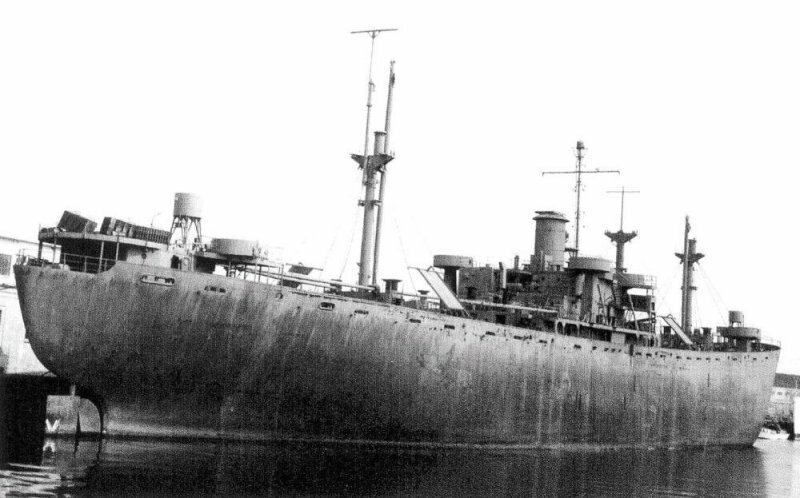 215k USS Crater (AK-70) moored, date and location unknown.